Vehicle Lettering & Graphics | Sign Extreme, Inc. Put your vehicles to work for your business. Our vehicle wrap and lettering services provide a large scale of options for branding your vehicles, from elegant and understated to big and bold. We use high-performance vinyl made to withstand the outdoors for as long as possible so you get the best quality for your dollar and the most vibrant graphics around. 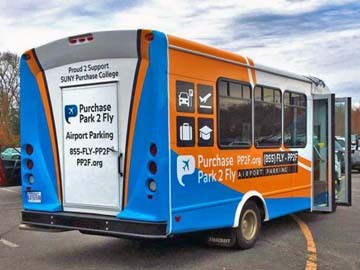 Our full wraps are digitally printed. From top to bottom, we can cover your vehicle completely in any design you can think up. Perforated window film is perfect when you want to maximize the amount of vehicle you have to use while not limiting your visibility. We can digitally print right onto the film so your graphics are seamless. If a full wrap isn’t the direction for you, we also provide vinyl lettering. 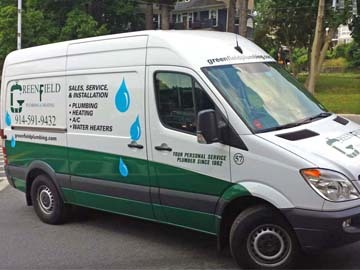 We can cover as much or as little of your vehicle as you have in mind and even include digitally printed, cut-out decals for detailed color work. Gold, silver, and reflective vinyl in several styles is available for our vehicle lettering, providing an extra touch of interest and visibility. Size is no issue. 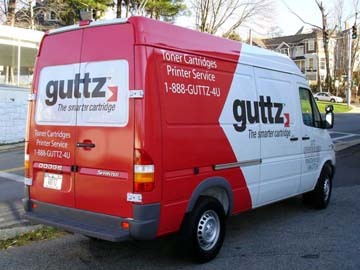 Whether you need a large box truck or a small smart car wrapped, we have the capability. We also provide design services to help you wrap or letter your vehicle exactly the way you want it. 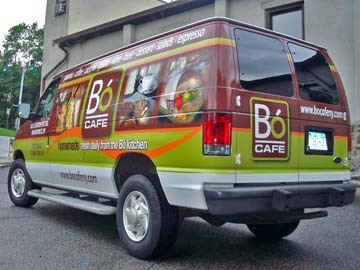 Our proofs showcase your graphics right on the vehicle, so you can see how it will look before a single letter is cut. Our high-performance vinyl combined with our expert craftsmanship and design services will result in a beautiful vehicle every time. Just get in contact with us about your vehicle’s make and model and we’ll be happy to help you create the best promotion your business has ever seen.